Morocco is one of those places that has been on my travel list for so long that I stopped believing I would ever visit. When we finally booked our flights for a four-day visit over winter (just three hours from Switzerland, who knew?! ), I had researched hundreds of travel sites, desperately trying to understand how to peel back the layers of this exotic destination. I decided the best approach was to stay in the thick of it–in the marketplace–instead of in a hotel that caters to foreigners. 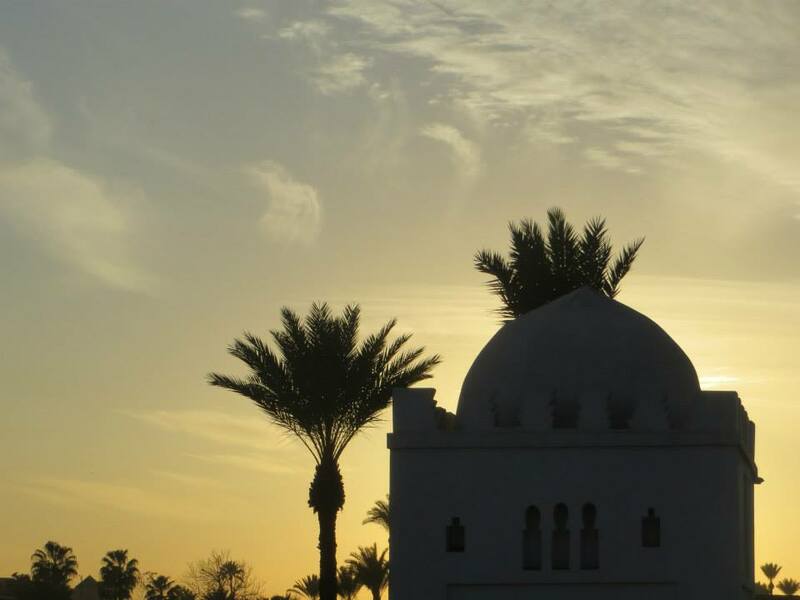 But after the oasis-like hotels had faded from view and donkey carts became the norm on our taxi ride from the airport, I began to wonder if I had made a mistake. 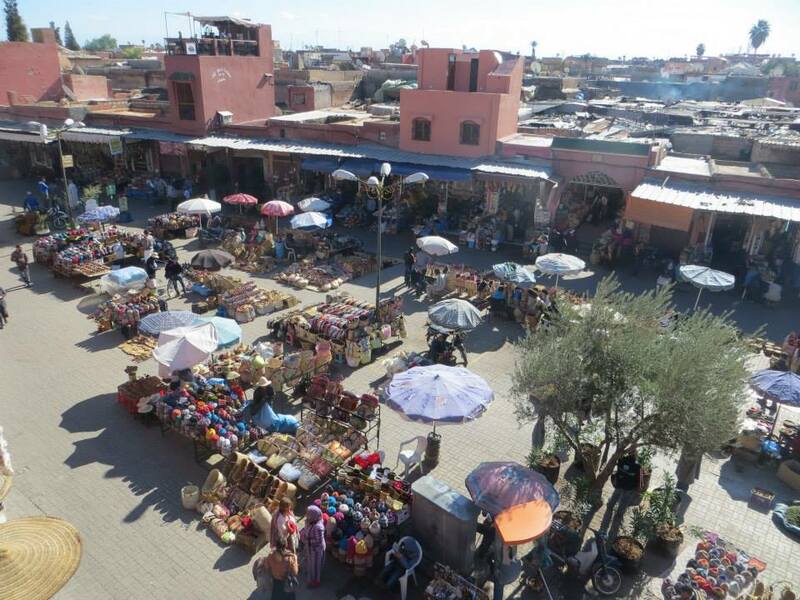 There are places you visit where you have an idea what it might be like before you go (Paris, London) and then there are places like Morocco where you don’t really know what you are getting yourself into…like wandering deeper and deeper into its miles-long, walled-in marketplace, the medina. 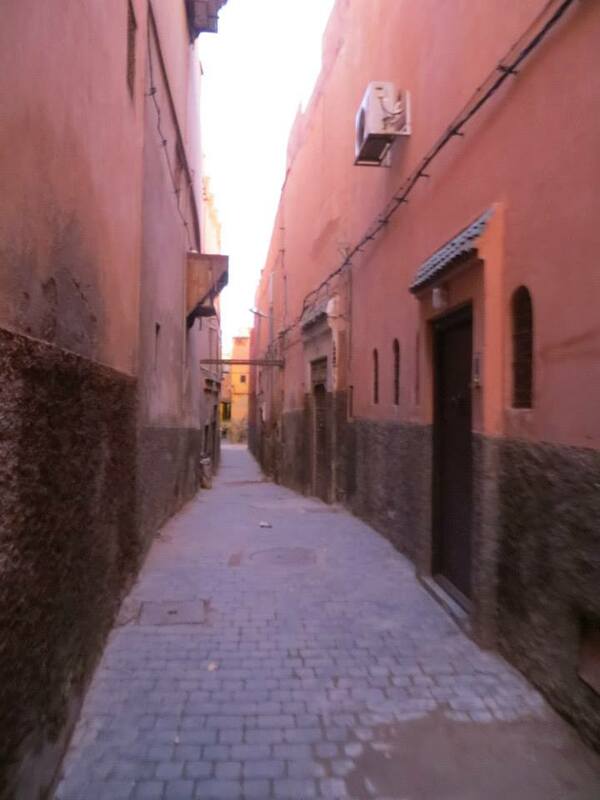 Nearly every corner we turned in the medina looked like this alleyway–somehow both unassuming and threatening. 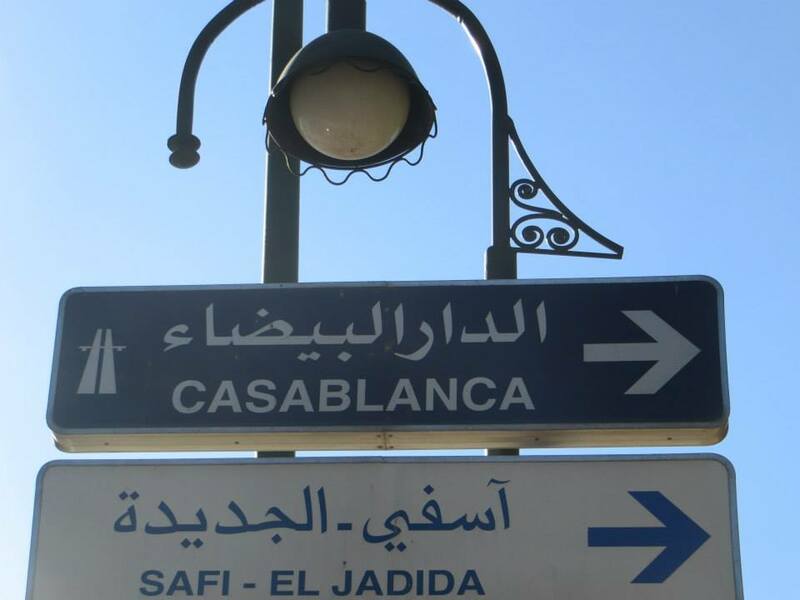 There are maps of the medina, but they are practically worthless to first-time visitors. The word “maze” makes it sound like it is a solvable puzzle. It’s not. 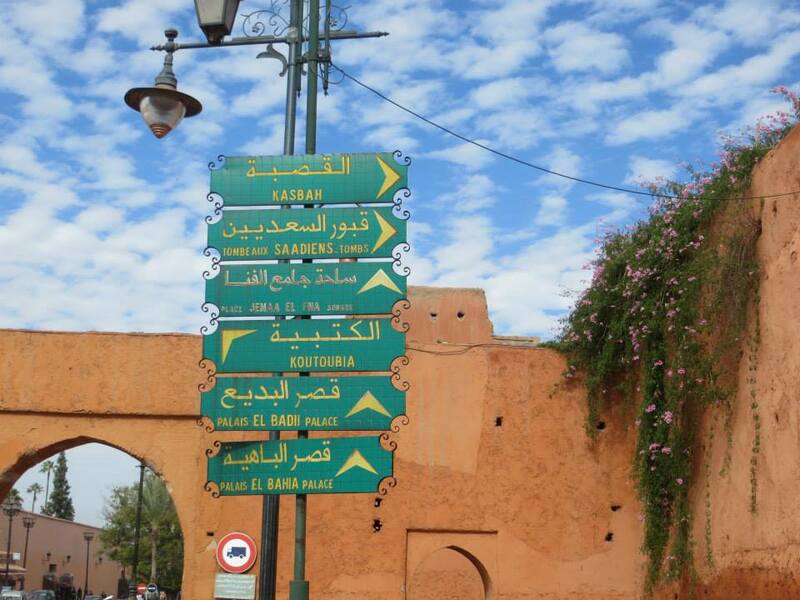 You have to get comfortable being lost in Marrakech’s medina and eventually you will find your way… to something. When we turned a corner on our first day in the medina and found ourselves in the middle of the spice market we were practically dancing. Had we outsmarted the medina? Or was it the other way around? 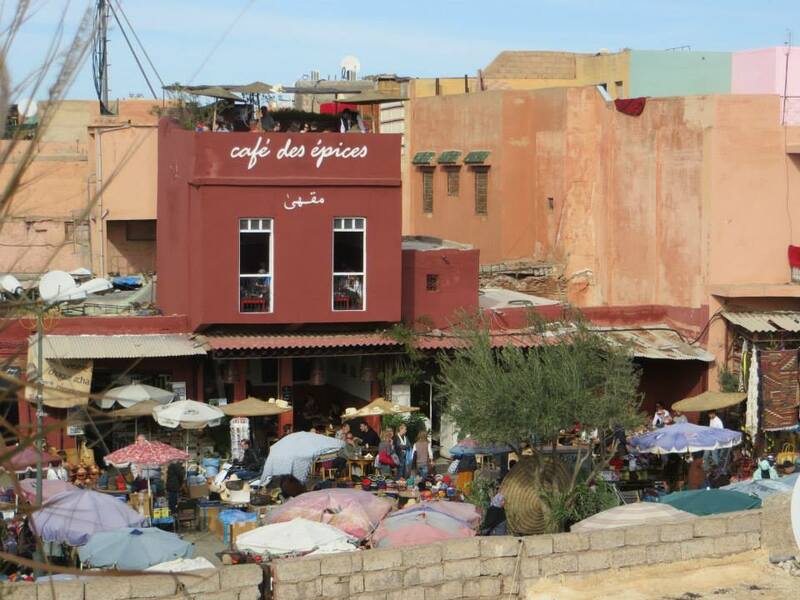 The medina is designed to keep shoppers a little lost and circling back to a few of its main shopping areas, such as the spice market and Jamaa el-Fnaa–which serves as the main square. We decided to take lunch on the roof of Café des épices (pictured) and get a better vantage point. Just like how sitting at a Parisian cafe is the best way to interact with the city, looking over the medina from one of its rooftop cafes is the best way to take it in. When I try to describe the medina mania to Americans (especially those who grew up in my generation), I tell them to watch the marketplace scenes from Disney’s Aladdin. Pure madness and sensory overload. 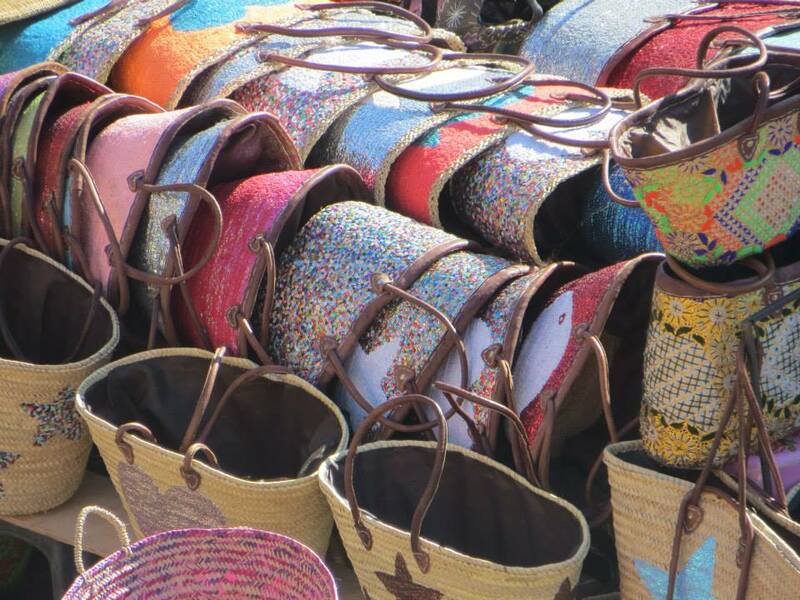 Glistening olives and technicolor spices mingle with sequined baskets and snake charmers. 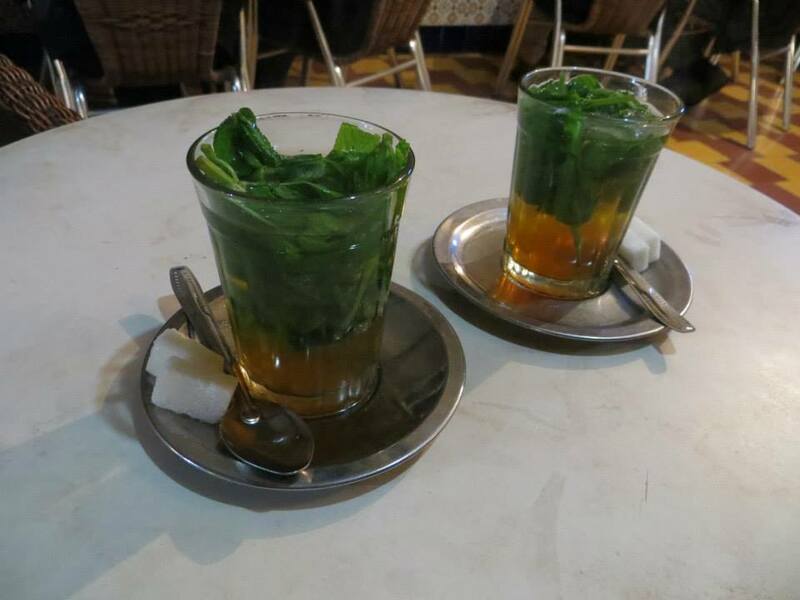 The charred smell of goat being barbecued wafts in between glasses of fragrant mint tea. 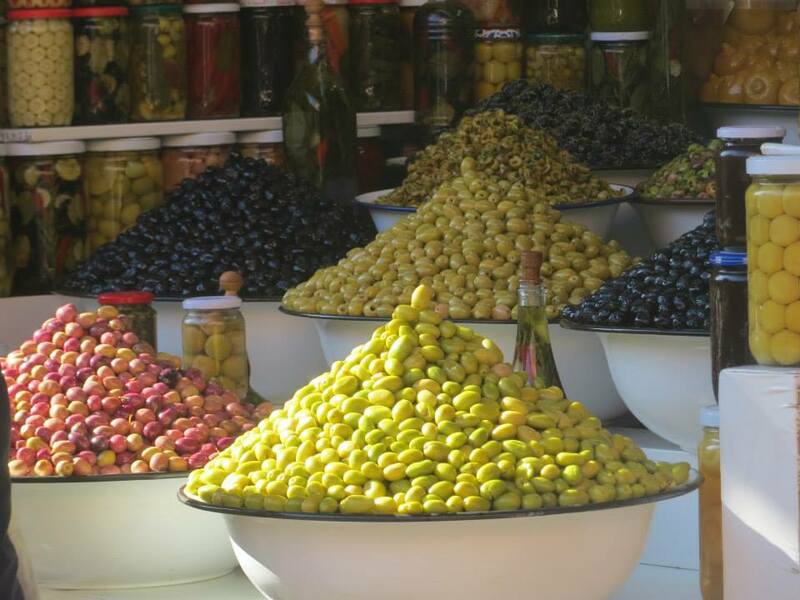 Shop owners and shoppers bark at each other in Arabic, bargaining over the best price for a pound of snails. Everyone has mobile phones and Google now, but there is something so old world about Marrakech. It is unlike any place I have been. Then the haunting Islamic call to prayer sounds across the medina at sunset, cutting through all the insanity below. 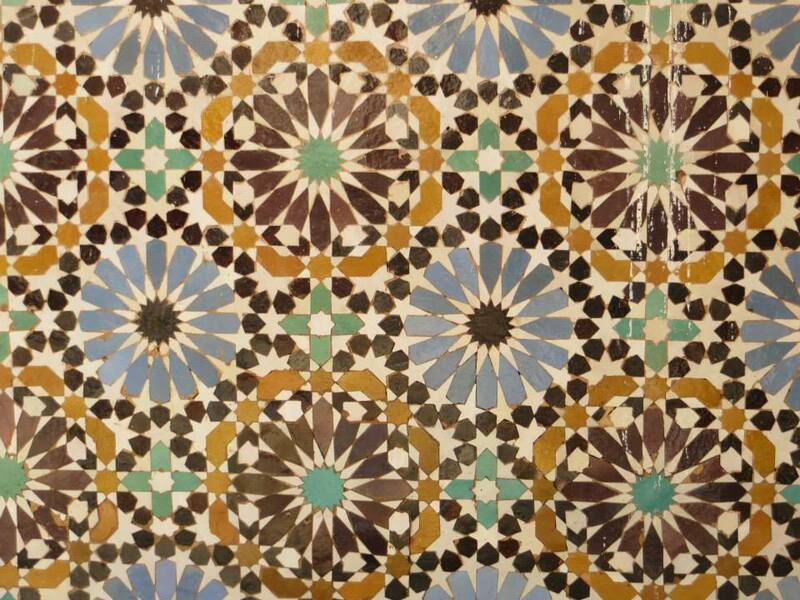 Four days was about right to figure out the medina, but Marrakech has so much more to offer…I can’t wait to return. I’m excited to share more about this incredible gem next week with a post about my travel recommendations there. For now, ma’a as-salāmah مع السلامة. Goodbye. 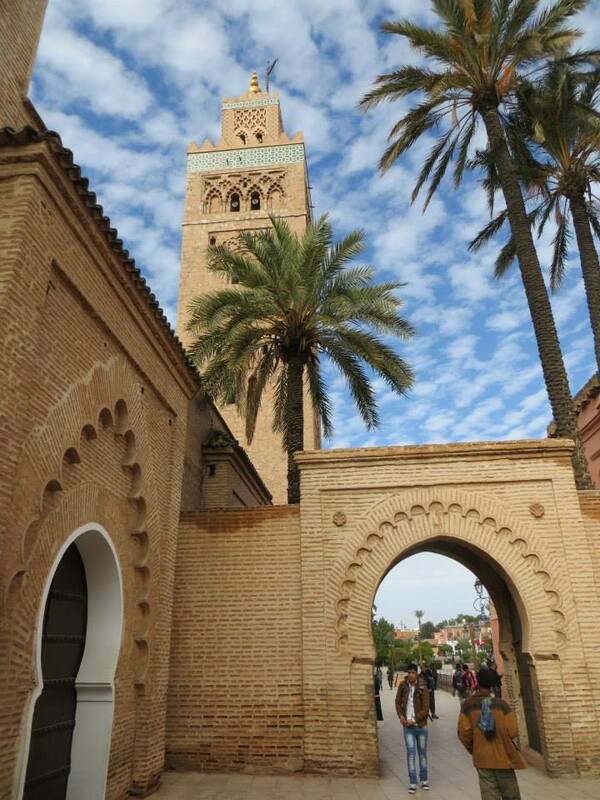 Morocco has long been on my travel wish list, too. 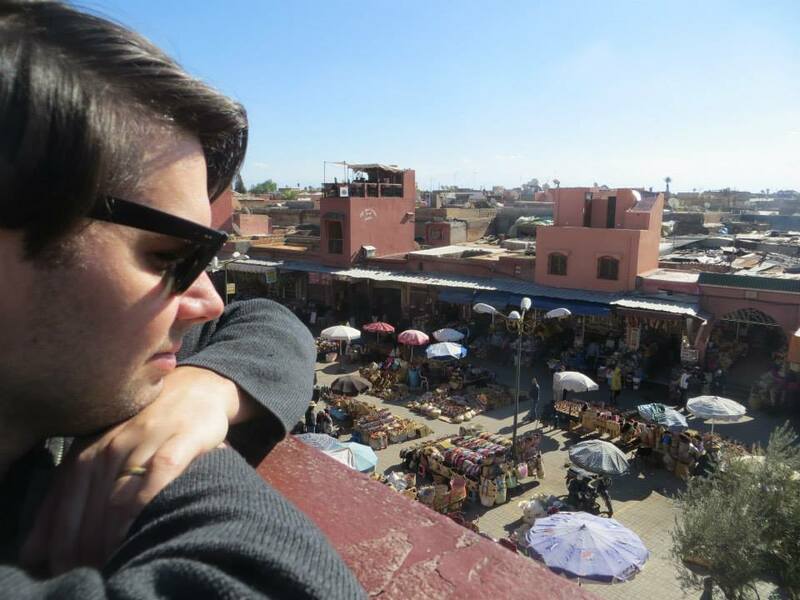 Your descriptions and suggestions about Marrakech are wonderful! Have you and Bryce been to Istanbul yet? You would love the spice market there. I love your travel posts! Merci! I am always looking for inexpensive flights to Istanbul (!! )–I would love to go there. I’m hoping within 2015… Also congratulations on your very big news “grande mére.” We are all thrilled. Merci beaucoup. Andrew is so cute!